Los Angeles, Nov 13 (IANS) Singer Dua Lipa is sad about the cancellation of her concert in Abu Dhabi due to extreme weather conditions. 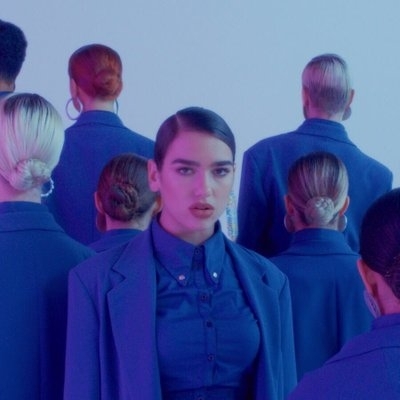 The "New Rules" hitmaker was due to perform to a sold-out crowd in UAE to celebrate the first anniversary of the Louvre Abu Dhabi art museum on Sunday, reports aceshowbiz.com. However, she took to social media hours before the show to announce that it had been cancelled, writing: "I am so sad to announce that due to bad weather conditions, tonight's show at the Louvre in Abu Dhabi has been cancelled. I really wanted to sing and dance for you. Hopefully I will be back very soon." "We regret to inform that Dua Lipa at Louvre Abu Dhabi has been postponed due to health and safety precautions arising from dangerous weather conditions. Keeping fans safe remains our primary concern. We are hoping to reschedule to a later date." "Do you know what, today was actually really special. I got to hang out in Abu Dhabi and see the Louvre here and I had a really fun soundcheck while prepping for the show its just a shame the weather took a turn for the worst," she said.